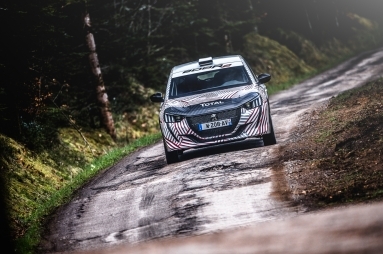 The all-new PEUGEOT 208R2, the successor to the best-selling rally car in the history of PEUGEOT SPORT as well as the best-seller in the category – the current PEUGEOT 208 R2 – has turned a wheel for the first time in the Vosges region of France, as it enters the dynamic phase of testing. 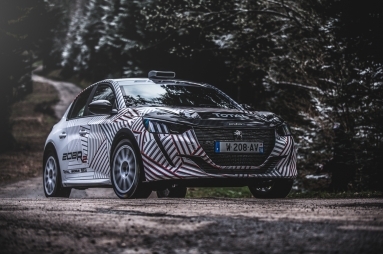 The all-new PEUGEOT 208R2 is based on the all-new PEUGEOT 208 road car, which was revealed at the Geneva Motor Show in Switzerland last month and features a three-cylinder 1.2-litre turbocharged PureTech engine, making it eligible for FIA R2C regulations. 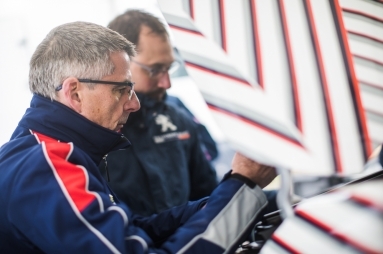 PEUGEOT SPORT’s engineers have been working on this completely new car since summer last year. 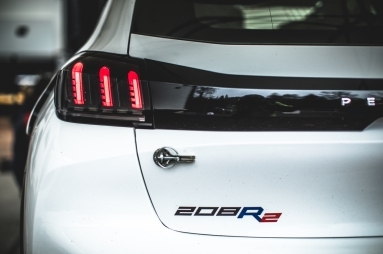 Based on the latest PEUGEOT 208 road car unveiled in Geneva at the beginning of March, the all-new PEUGEOT 208 R2 benefits from all the technical and aesthetic evolutions that characterise the road car. 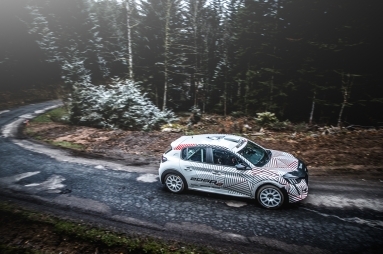 The all-new PEUGEOT 208R2 has big shoes to fill, as it takes over from the most popular rally car that PEUGEOT has ever made and the most popular car in the category, with more than 450 examples built. 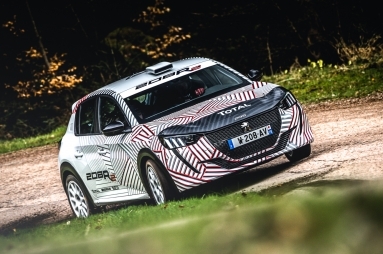 PEUGEOT SPORT’s engineers were given a clear task: to create a rapid and reliable car that’s great fun to drive, but also benefits from running costs that are as low as possible. 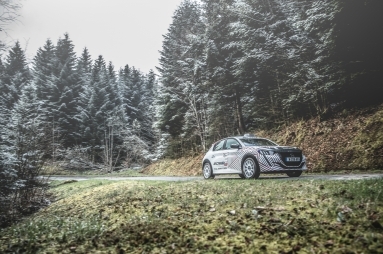 The immense experience accumulated by PEUGEOT SPORT over the years and the results of the first tests suggest that these objectives are already being met. 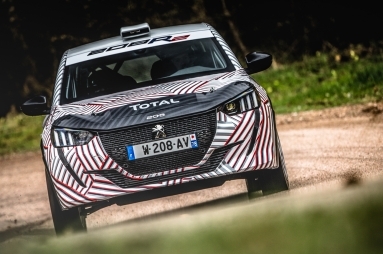 Theall-new PEUGEOT 208R2 is equipped with the manufacturer’s new 1.2-litre, three-cylinder engine that uses PureTech technology. 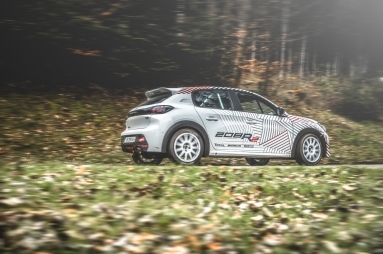 This engine is particularly powerful in road car guise and has been adapted by PEUGEOT SPORT’s engineers for competition by adding a bigger turbo, motorsport engine management system, and a new gearbox. Everything is contained within the new CMP platform – a fresh platform common to all PSA B segment cars – which offers reduced weight and enhanced vehicle dynamics to make performance feel even more sporty.